El Playa Faro is a quiet restaurant that is not flashy or touristy, but with offerings that were at par (if not better) than a lot of more popular places in Malaga area. 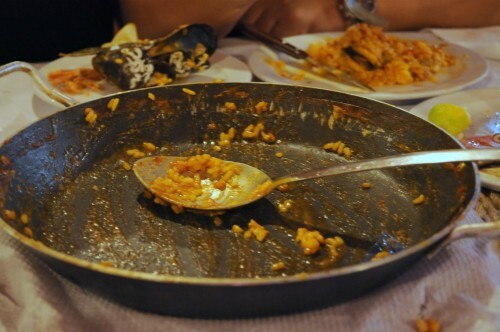 I definitely enjoyed the paella which did not skimp on the seafood, with a couple of langostines and mussels for the taking and saucy al dente rice as base. 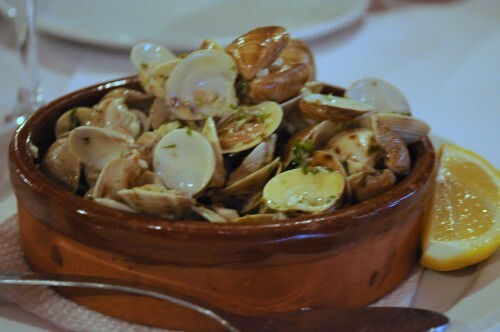 We had the lovely clam appetizer which was great to dip our bread in for starters. 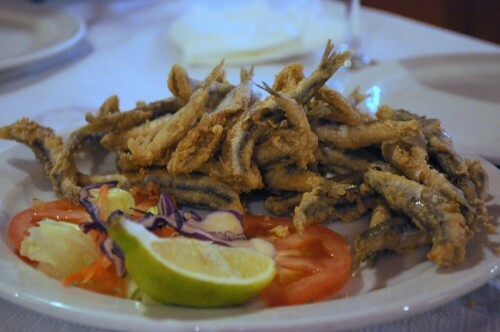 We loved the fried boquerones during this trip, but especially the ones from this restaurant. 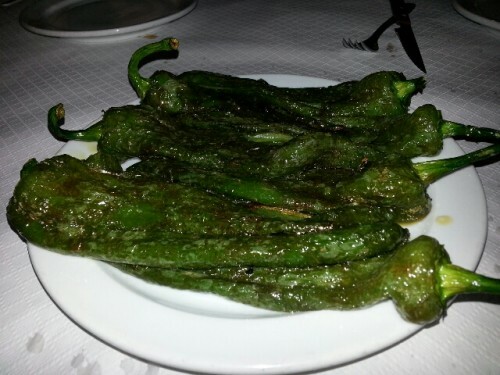 Surprisingly, fried peppers were hard to find elsewhere during our trip, so we devoured this dish with gusto. Slurp. 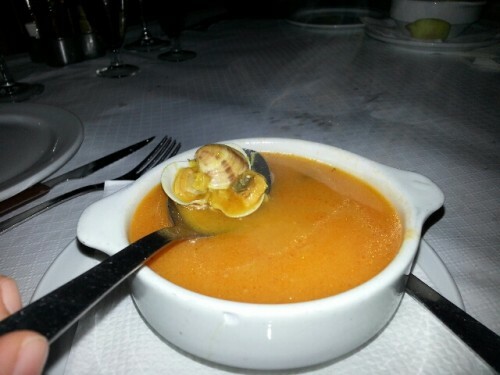 This soup was a generous portion of brine and shellfish. 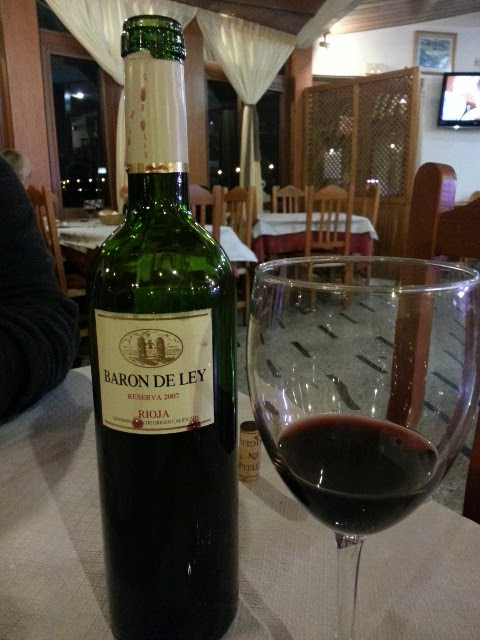 We fell in love with Baron De Ley rioja! When we transferred to a different resort, their front desk referred us to a fine dining place by the water that failed our standards because of the higher prices and less than impressive food. 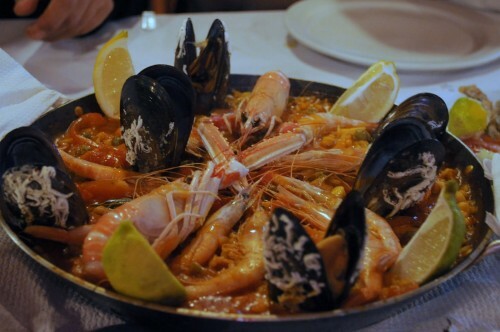 We had to go back to El Playa Faro to redeem ourselves and have a little bit more of the homey, no-frills simplicity we liked about the Andalucia restaurants we sampled during this trip, where everything only needed to be fresh, cooked slightly, and allowed to bring the ocean to our mouths on their own.